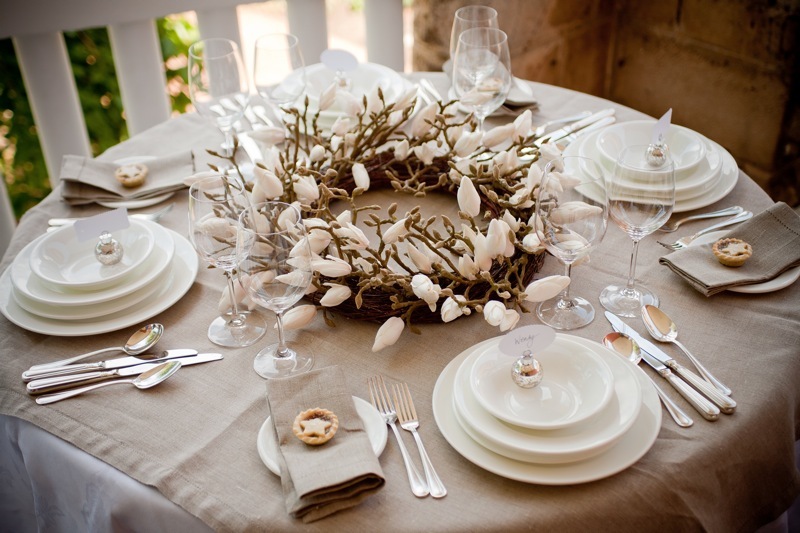 At one time I took some flower arranging classes and for a long time after that I was passionate about always having only fresh flowers and plants in the house. But after a few years of constantly having to pick dead leaves, re-cut stems, and replace dying flowers, I realized that it was taking up too much of my time as well as my money. Now, when the garden is full of flowers I still enjoy arranging them, but the rest of the time I make do with good quality silk ones. 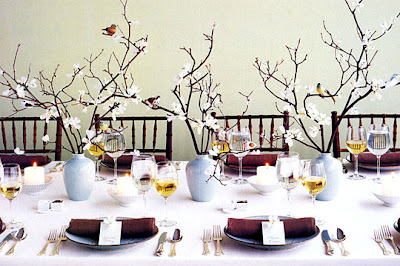 I invested in a few very nice centrepieces and several people have asked me if they were real. The same applies for the Holidays. 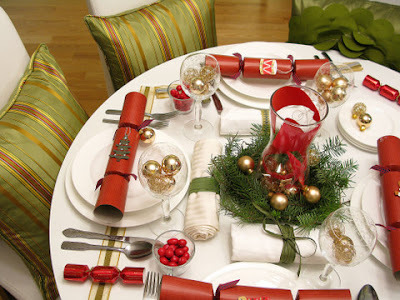 I used to buy lots of fresh holly, roses and other flowers and spent hours making arrangements, only to find that when it came to actually eating Christmas dinner, the table became so full with all the various dishes that the centrepiece, more times than not, was moved to the sideboard. 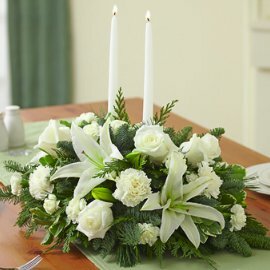 So now I have a couple of very nice Christmas centrepieces that I keep on the tables when they are not in use. When we are actually eating, a candle or two with a bit of greenery around it is all there is room for, and ends up looking just as festive. So that is what I would recommend today. 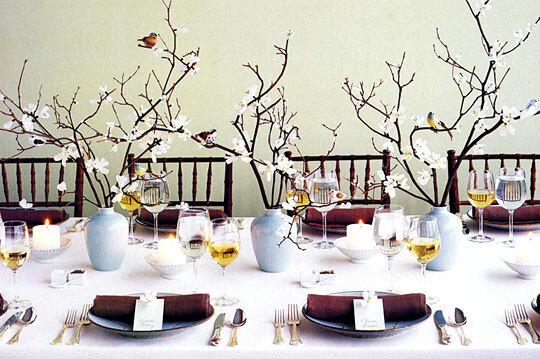 Invest in a centrepiece or two (whatever your requirements) and then you will always be covered. It's a lot easier to enjoy occasionally arranging some fresh flowers when the mood strikes you when you know you are doing it purely for your own pleasure and not out of necessity. 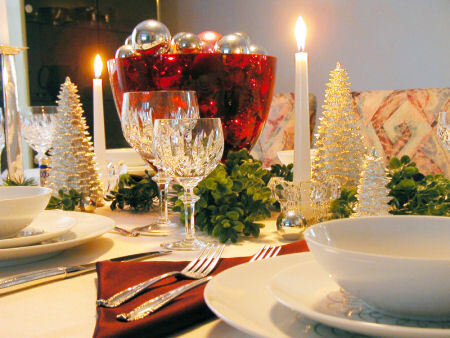 As for the table itself, there are lots of special Christmas linens and dishes, and if you have these then certainly use them. 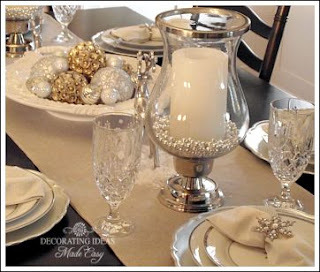 But personally I think plain white china and polished silver looks the nicest and is the most versatile. 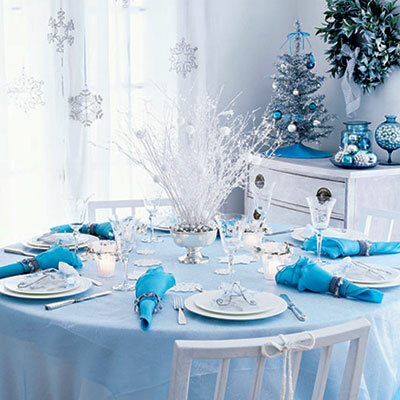 Just as with your home, if you buy a basic colour in your larger investments then you can play with different colours and themes in the accessories. If you collect various coloured napkins and place mats you can have a different table every year very inexpensively.